The two champs just don’t get along. Undefeated UFC star Ronda Rousey and undefeated boxer Floyd Mayweather have exchanged verbal jabs in the past, but Mayweather threw the most recent punch during an interview with EPSN’s SportsCenter Friday. Mayweather shut down rumors-- fueled by fans-- that Rousey could beat him in a fight. 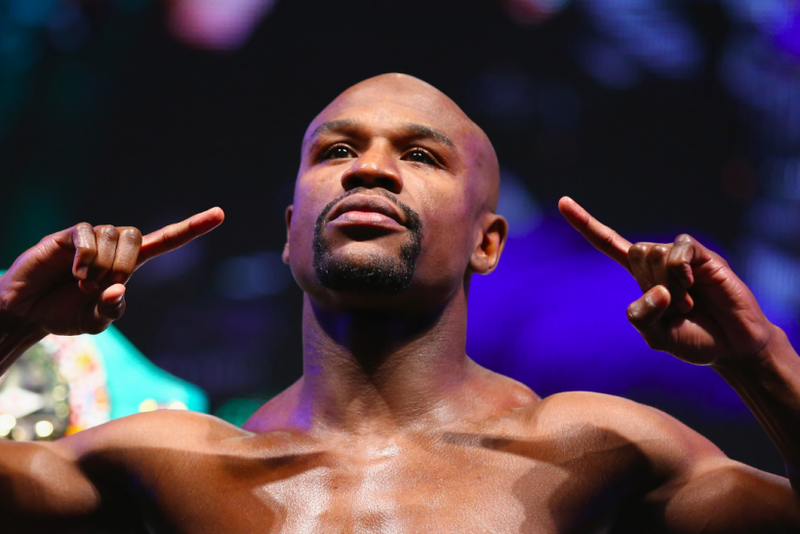 "I've yet to see any MMA fighter, or other boxer, make over $300 million in 36 minutes," Mayweather said, according to MMA Fighting. "When she can do that, then call me." When she won the 2015 ESPY for Fighter of the Year, Rousey made her malcontent known. She also brought up Mayweather’s domestic violence history: He went to prison for 90 days in 2010 after he hit his ex-girlfriend in front of their two children. "I wonder how Floyd feels being beaten by a woman for once," she said at the award ceremony. Some people think fighting Mayweather could be Rousey’s only shot at a fight that lasts longer than 60 seconds. She beat her last opponent, Bethe Correia, in 34-seconds at UFC 190 last Saturday. Before that, she took down Cat Zingano in 14-seconds at UFC 184 Feb. 28. While Mayweather isn’t interested in a battle with Rousey, there is someone who wants a shot at her title: Cris “Cyborg” Justino. Four years ago Cyborg tested positive for an anabolic steroid, but has since tested clean. “This fight has to happen," Cyborg, 30, told SportsCenter Wednesday. "If the UFC thinks I don't deserve this fight, don't do it for me. Do it for all the fans."